Finkelstein, Maxwell W.. "Alsek River". The Canadian Encyclopedia, 25 March 2019, Historica Canada. https://www.thecanadianencyclopedia.ca/en/article/alsek-river. Accessed 25 April 2019. The Alsek River originates in the highest mountains in Canada, the St Elias Range. The Alsek River originates in the highest mountains in Canada, the St Elias Range. 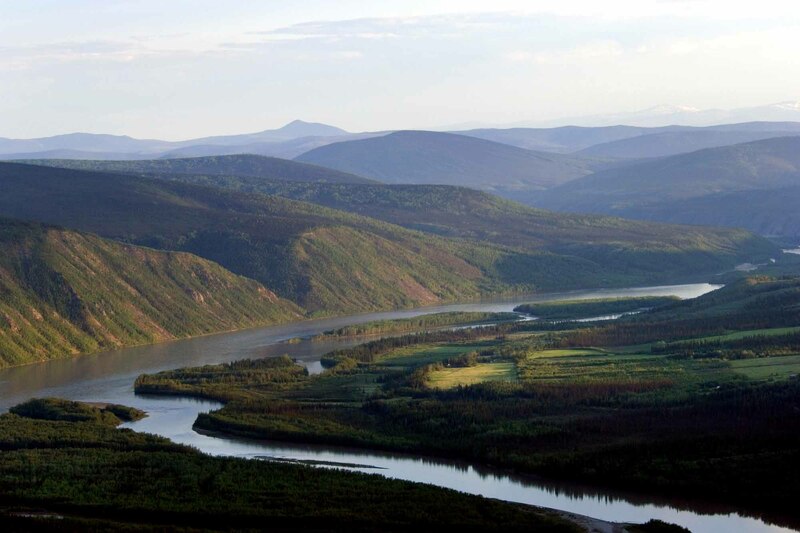 From its origin as a braided stream at the confluence of the Kaskawulsh, Dusty and Dezadeash rivers, the Alsek flows for approximately 250 km across the southwestern corner of the Yukon Territory, the northern tip of British Columbia and the Alaskan panhandle, emptying into the Pacific Ocean at Dry Bay, Alaska. The name is of Tlingit origin and may mean "place where people rest." 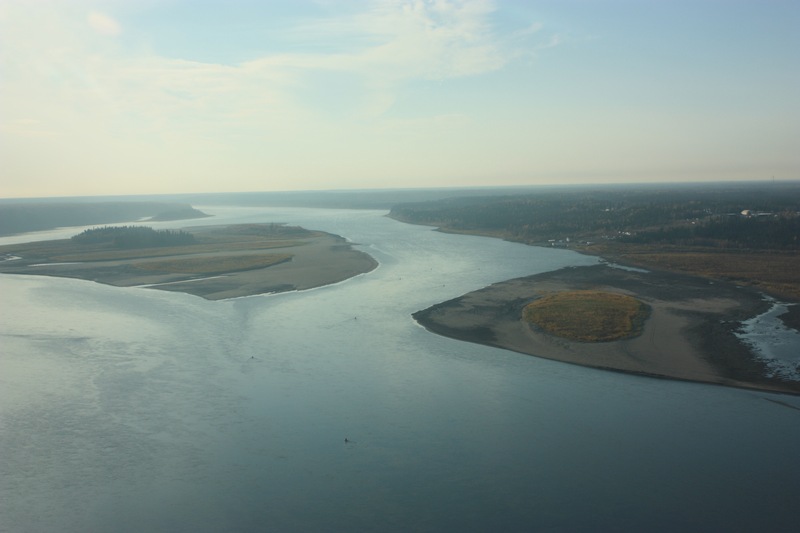 A 90-km long section of the Alsek was designated as part of the Canadian Heritage Rivers System in 1986. It lies entirely within Kluane National Park and Reserve, part of the UNESCO Kluane/Wrangell-St Elias World Heritage Site established in 1979. The Alsek valley has held little appeal as a place to live. The lower Alsek (downstream of the designated section) was a traditional trade route between the Alaska coast and the interior, but Native peoples seldom ventured onto the more rugged upper Alsek. Today, only a few adventurous river travellers tackle the remoteness, beauty, wild rapids and icy waters of the Alsek by kayak or raft. Only a select few have ever run Turnback Canyon!